Historian Eric Foner. Photo from Wikimedia Commons. The award-winning American historian, Eric Foner, has often written about the Republican Party -- its origins, icon leaders, and tipping points -- but Foner himself is not now nor has he ever been a front man for the Republicans. A popular professor of history at Columbia University since 1981, he is the author most recently of The Fiery Trial: American Lincoln and American Slavery, in which he charts both the strengths and weaknesses of our 16th-president, and depicts him as an original thinker and as an adept politician in near-constant evolution. Revered by students and fellow historians -- a past president of the American Historical Association -- and reviled by right-wing ideologies, Eric Foner seems to have been destined to write history. His father, Jack Foner, was an American historian who was blacklisted for years; his uncle Phil Foner was also a historian who wrote about nearly everything and everyone in American history -- from 19th-century New York merchants to Frederick Douglass, Helen Keller, and the Black Panthers. Like his father and his uncle, he is thoroughly immersed in the American past, and yet attuned to contemporary history as it unfolds today. 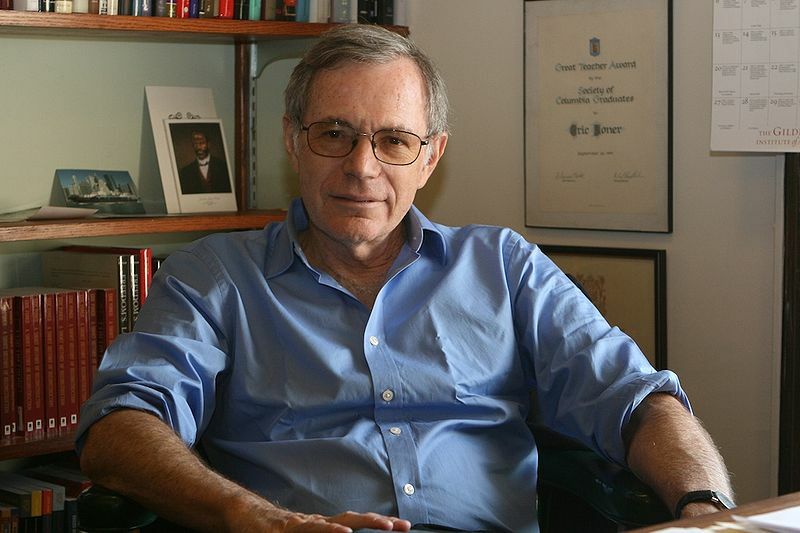 I met Eric Foner at Columbia in 1960 when we were both freshman, and members of Action -- a student-run organization and a forerunner of Students for a Democratic Society (SDS) -- that protested nuclear testing, the House Committee on Un-American Activities, and the policies of a paternalist administration. Even in 1960, at the age of 17, he already knew he would go on to teach and to write about American history, to see it from the bottom up and from the point of view of the underdog: the slave, the worker, the immigrant. Fifty years on, and at the start of the 50th anniversary of the 1960s -- an era that shaped his own view of history -- Foner continues to teach, write, and speak out on controversial political issues of the day. 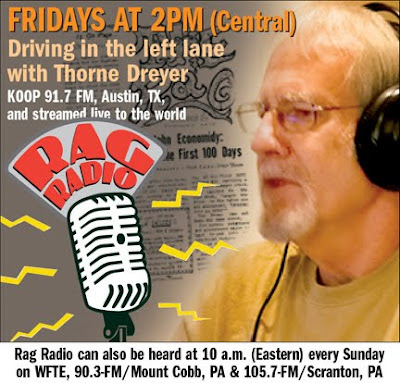 This interview was conducted over the long Thanksgiving holiday and ranged over a wide variety of topics -- from Lincoln to Obama and Karl Marx to revolution. Almost every day I go on line there's another piece about Lincoln? Why is this? Lincoln is so iconic a figure in American culture -- the self-made man, frontier hero, liberator of the slaves -- that everyone wants to claim him as their own. Also, because the issues of his day still resonate with ours, he somehow seems to be our contemporary in ways other figures of our past do not. If you could channel Lincoln what do you think he'd say about Obama? Historians don't like to answer questions like this. Lincoln would no doubt be pleased and surprised that a black man was elected president but on bailouts, gay marriage, Afghanistan -- who knows? All that I’ll say on that subject is that Lincoln had great respect for learning and expertise. You have a new book out on Lincoln and slavery. Why did it take so long for someone to write a book about a subject that seems to obvious? 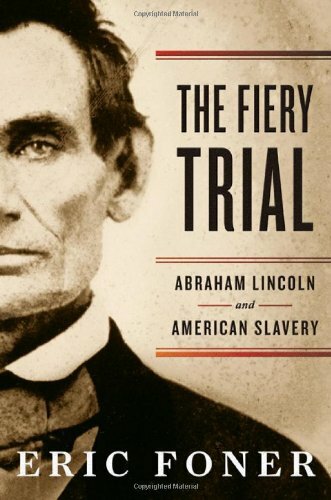 There are previous books on Lincoln and slavery but they tend to be either hagiographies -- he was born ready to sign the Emancipation Proclamation -- or prosecutorial briefs -- he was an inveterate racist. I think it requires someone from outside what a friend of mine calls the Lincoln-industrial complex to try to show the man in all his strengths and weaknesses, and how his views changed over time. What does the reception to your book tell you about the state of our country today? To the extent that people relate the book to the present it may reflect a longing for political leadership in which one can take pride and have confidence. Was Lincoln a prophetic president? Did he see into the future and see the way U.S. society was developing? Lincoln looked back more than forward. He thought of himself as fulfilling the promise of the American Revolution. He did not foresee the rise of the industrial state of the late 19th-century, which undermined many of his deep assumptions about the dignity of labor. You became an historian in the 1960s. What do you see now as the impact of the 1960s as an historical era on the writing and the teaching of history? The 1960s put on the agenda of historians, issues that had been very marginalized before then -- the history of race and racism; women's history; the history more generally of ordinary people, neglected groups. We are still trying to create a persuasive new overall view of U.S. history incorporating this expansion of the historical cast of characters. You teach U.S. history to students now. Could you characterize how this generation views history and the past? Like previous generations, they look to history for a sense of their own identity as individuals and Americans. Because students are today so much more diverse than in the past, so must history be. American history is continually rewritten. Only recently I read a piece about the ways that the Boston Tea Party has been viewed through the ages. Which historical periods are rewritten and revised and rethought more than others? Reconstruction after the Civil War has been revised most thoroughly by historians, although the general public has not really caught up. The role of slavery in American life has been completely rewritten. But every period is open to reinterpretation -- that's what historians do. What do you think is the single most important thing we ought to learn from Lincoln? Open-mindedness, willingness to listen to critics and not surround one's self with yes men, willingness to abandon ideas and policies that are not working and move to new ones, while maintaining one's core principles. Karl Marx wrote about the U.S. in the 1850s; how astute was he about the U.S.? Marx was a shrewd observer of the Civil War, understanding the revolutionary implications for the society of the emancipation of the slaves. Marx saw Lincoln as a man willing to take radical steps to achieve his goals, but to couch them in mundane language like a lawyer. He also saw freeing the slaves as an essential step toward liberating labor more generally. Do you think it's impossible for there to be another civil war in the U.S. -- a third American Revolution? Probably not. A third Reconstruction (the second being the civil rights movement) would be a good idea, however. Are all the major events of our society behind us? I doubt it. The most important things in history come as complete surprises. More surprises will come in the future.